We did it! We made it through the holidays. And let me tell you this year seemed busier than ever! As much fun as the holidays are, I always love to take time in January to get organized and freshen up everything (the house, my wardrobe, all of it). Here are a few things on my list to tackle this month. During the holidays I tend to be scrambling to put outfits together for events. I am always packing for a quick trip, unpacking, repacking. Not to mention organizing the clothing and accessories that are gifted to me throughout the season. This all leads to a lot of chaos in my closet. Misplaced socks, shirts in the wrong size, maybe even a few stains. For all of these reasons, I like to get my closet back into shape in January. I start like everyone else - making two piles: toss or donate. I make sure all of my clothes are in eyesight (no hidden suitcases I forgot to unpack and all of my laundry is out of the dryer). If the item is ripped or stained - toss. If the item doesn't fit quite right and it isn't nice enough to justify paying for alterations - donate. Purging unwanted items from my closet is always hard at first. When there aren't as many other clothes in the way, we actually wear what we like and what fits us well. A tidy closet makes getting dressed in the morning much easier. 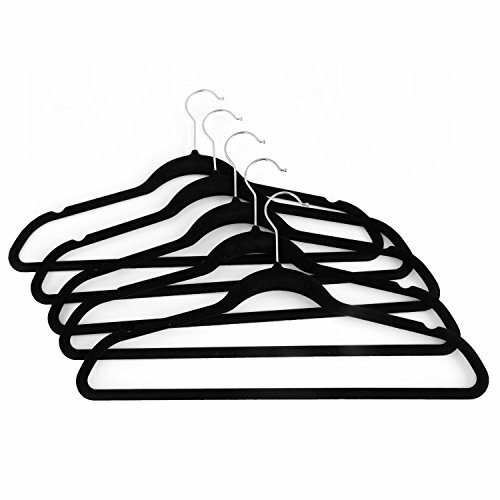 I love these velvet hangers for keeping clothes neat and saving space. As for dresser drawers, pajamas that haven't been worn in a year - donate. Undergarments that are tattered or dingy - toss. Socks that are missing their mate- toss (or use as a rag for projects). Old t-shirts are one item I unnecessarily hoard, but never actually wear. I try to get rid of one or two every time I go through my drawers. Baby steps. 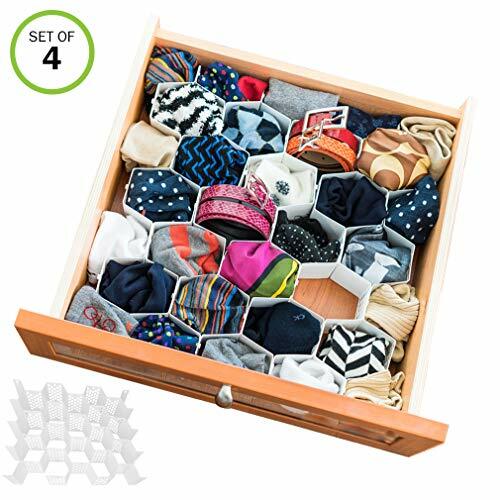 Check out these drawer organizers that are honestly a lifesaver! We've all done it - receive a gift and never take it out of the packaging. It's not that you don't want to use it, you just need to find a home for it. That's why this is an important step for me. After the craziness of the holidays has subsided, I like to take inventory of the new things that were kindly gifted to me. Most items I know I will use and the best thing to do is to ACTUALLY use them. Like, now. Someone once told me not to hide away nice things - instead, use them! What a concept. It really does make sense. New candle? Put it out and light it. New bath soaps or lotion? Display in the spare bathroom for guests to enjoy and donate the hotel minis. New necklace? Toss an older one and put the new piece at the top of your jewelry box so you can easily reach for it when getting ready. Sometimes we get duplicate gifts. There are a few options. If the item is something you use a lot - let's say, a water bottle or coffee mug - then maybe its a good idea to have a spare. I say keep it. 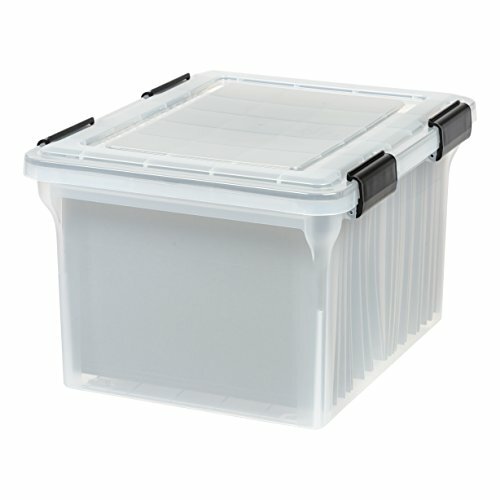 If you truly won't use the item, then consider saving it for a regift, donating it, or returning it. Ok, nobody wants to spend time in a mall after the holidays forced us all there. BUT the faster you return and exchange items, the less clutter you have and the faster you can actually enjoy your items. Without a doubt every few months I order something online in what I think is the perfect size, only for it to arrive and fit terribly. This recently happened to me with a winter coat. It also happened to my husband with some gym shorts. Can you see how the returns pile gets very large very quickly? I like to do all of my returns and exchanges at once. Pile it all in to the car, grab a Starbucks, and get it done. Although most things can be returned online these days, sometimes I just don't want to risk getting the wrong size again. And I like to see my options in person (maybe I like the black coat better than the green I originally ordered). I do a little research before I go, to make sure the stores will accept the online order return in the store. Most will, but some will not (J Crew does not accept J Crew Factory returns in the store, for example). A quick Google will tell you whether you will be wasting your time or not. Be sure to have your receipts with you or be able to look up the receipt on your phone. Most department stores like Macy's or Nordstrom will process a return/exchange many months after you originally received or purchased the item. So if you've recently stumbled on something you meant to return - give it a try! You will likely end up with a gift card which you can use for anything you want! A lot better than an unwanted item just sitting around collecting dust. Now that you've dug through your paperwork to find that missing receipt, that pile is probably looking a little daunting. I tend to feel very paper-heavy after the holidays. Probably due to a lot of holiday cards, receipts, and lack of time to sort through the mail as it arrives. The first thing I do is toss anything outdated or holiday related. Last year’s calendar - toss. Holiday cards from friends - sorry, but toss (they have been displayed for a month now). Invitations to holiday parties that have passed - toss. Receipts from items that I am keeping or that I gifted - toss. Next, I sort through any annual bills or services I need to renew. For example, my AAA membership card came in the mail and I had to renew my service for the year. Done. I found my new gym membership paperwork, which made me realize, in the hustle and bustle of the holidays, I hadn't cancelled my old gym membership yet. Yikes! Once I get the bills taken care of, then I move onto filing. I tend to hold onto "important" paperwork only to realize it is all available online. I've been trying to get better at tossing things right away (aka standing by the trash can while I sort through the mail every day). But somehow this pesky paper pile still gets overwhelmingly tall! If the paperwork is available online - toss. If not, then file away. 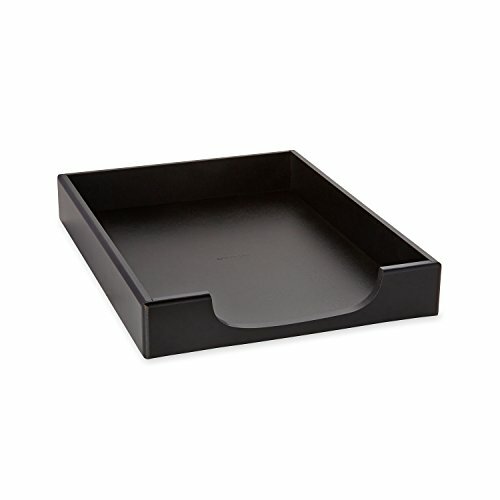 A very good investment for the New Year is a file organizer, if you don't already have one. Ours is plastic and probably cost $15 from Target. We put it in the spare bedroom closet. It houses everything from mortgage documents to our refrigerator warranty. I highly recommend having a place to store important paperwork that is out of sight. We also keep an “inbox” bin in our office, that houses current bills, invitations we haven’t yet responded to, etc. We think of it as quick spot to put things that will be taken care of shortly or that we need to file eventually. Nothing lives in that box, just placed there temporarily. Once I have got my home looking normal again (bye, Christmas tree and garland) and I've got the paperwork under control, I sit down with a fresh planner for the year. Yes, I still use a paper planner. Mine is from Erin Condren and I've been using her planners for a few years now. I also love the Sugar Paper planners at Target. Or the Rifle Paper Co. planners (you can get at Paper Source). 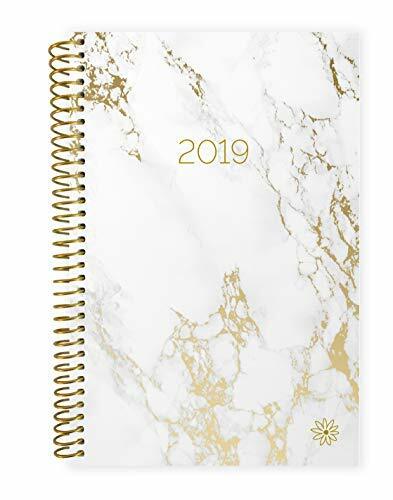 I’ve also included some good planner options I found on Amazon this year. Having a planner helps me to remember all of the upcoming trips and parties for the year. So I am not rushing to figure out vacation days or RSVP for a wedding. I have it all written down and I review upcoming events often, by flipping through the planner. There are no surprises. There are a few things I do right away when I get a new planner. First, I write down birthdays and anniversaries for all of my friends and family. I don't like to miss an opportunity to send a card and gift, so it is important for me to have these dates in my planner. Second, I write down any major events for the year - upcoming trips, weddings, family events. Third, I start to plan out important appointments like dentist, doctor, HVAC inspection, etc. If I don't have something scheduled quite yet, I at least write a reminder for myself so when I get to that month, I call and make an appointment. These little tricks help me to keep it all straight throughout the year! 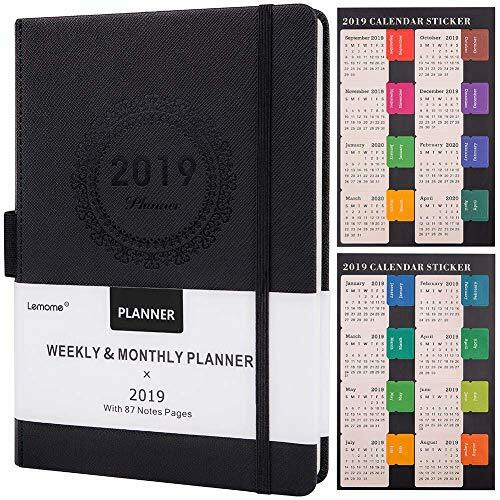 Planner 2019 with Pen Holder - Academic Weekly, Monthly and Yearly Planner. 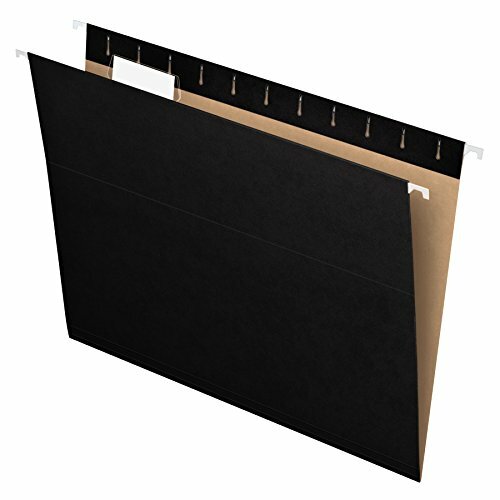 Thick Paper to Achieve Your Goals & Improve Productivity, Back Pocket with 88 Notes Pages, Gift Box, 5.75" x 8.25"